Clémence of Vynn's Ravelings is taming the dragon in celebration of the Waldorf schools' Michaelmas Festival on September 29. She's armed herself with dragonhide armor gauntlets, a silver knight pendant and a medieval velvet gown. My green dragon is too busy admiring his peridot gem to fight humans, but the legendary battle of Saint George and his dragon are captured forever in a needle felted soft sculpture, wooden Russian doll set and a hand painted print. Coloridas Calaveras para el Dia de Los Muertos! Purple! Fun to say and wear! dragons and knights and maidens, oh my! This is fabulous! I love the idea. Wish I know how to do it on a blog of my own. Thank you! 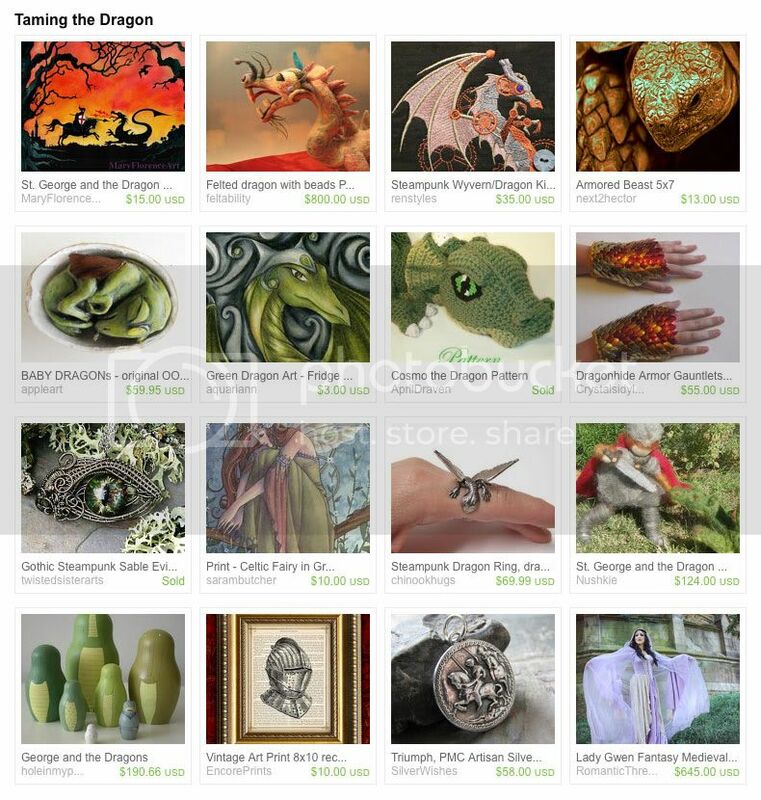 The "Moss" treasury is stunning. Be sure to have a look. Ooooo so fab! I love all the dragons! love this new teasury, nicely done! I'm really digging all of those dragons!